If I were to ask you, “Are you complete?” Most people would say, “Yes!” But it is not until you go through life’s trials or an unforeseen circumstance of some sort that you realize you are not as complete as you thought. Maybe you are there right now or you have been there. 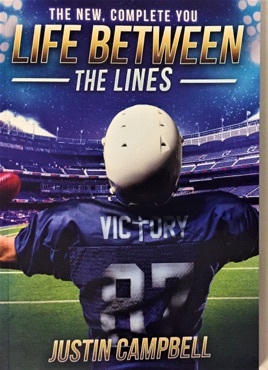 Whether you play football, another sport, or watch sports, all sports have lines that you have to play within. These lines keep us from going out of bounds, being disqualified, or hurting ourselves. Whether you have gone through the pain of double sessions, lifting weights, or juggling your job or family struggles, you will be able to relate to this book.